What’s happening with the lira? Turkey and Washington are at a crossroads. A disagreement over Ankara’s purchase of S-400 surface-to-air missile system from Russia has threatened to undermine relations between the two North Atlantic Treaty Organisation (NATO) members. Tensions have simmered for months over a host of other issues. The two sides back competing forces in war-torn Syria, and they also differ over Israel’s treatment of Palestinians. But this week senior officials met in Washington on the sidelines of a conference where business leaders and experts talked about ways to improve the strained ties. 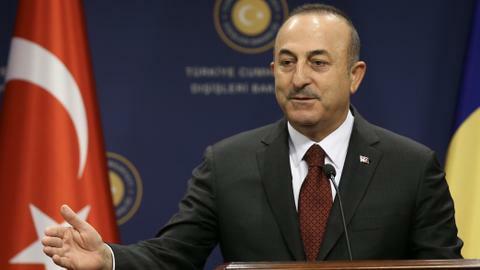 The 37th Annual Conference on US-Turkey Relations was organised by Turkey’s government and two US-based think tanks. 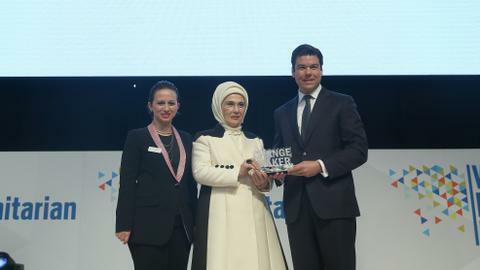 “We have issues to address, no doubt, but I think it’s these kind of platforms, meetings and people like you that can provide a venue, a platform to address these issues,” said Ibrahim Kalin, the Turkish presidential spokesman, while speaking at the conference on Sunday. The bilateral trade between the two countries has grown over the years, reaching $20 billion last year. Officials are aiming to increase it manifold to $75 billion in the coming years. Importantly, Turkey has been able to narrow its trade gap with the US by exporting more products such as cars and garments. The US has been a major source of foreign direct investment (FDI) in Turkey since the early 2000s when the country underwent economic reforms. But more than trade and FDI, good relations are important to pacify foreign investors who have invested in Turkey’s financial assets. Last year was particularly tough for the lira when it lost 30 percent of its value against the US dollar. That was partly because of President Donald Trump’s sanctions on Turkish lawmakers in the wake of an American pastor’s arrest. This month the lira was again under pressure as concerns rose over the health of the country’s foreign exchange reserves. 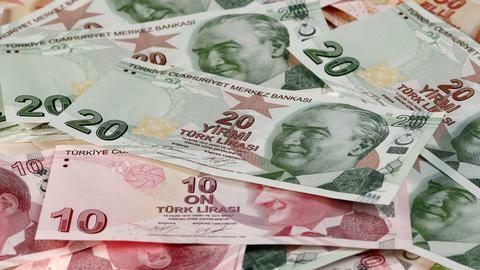 However, Turkey has linked the lira’s vulnerability to speculation. 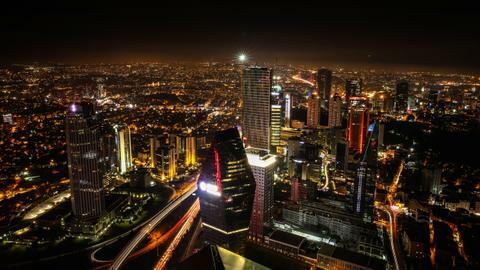 The Turkish government has taken steps this month to bolster the banking system. 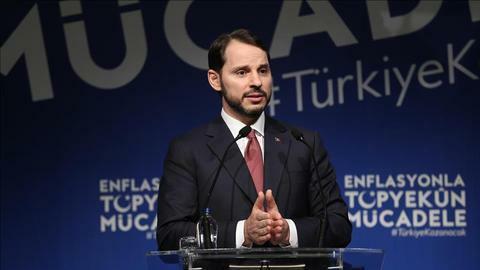 Treasury and Finance Minister Berat Albayrak last week announced steps to recapitalise state-run banks, which are facing high non-performing loans. In recent years, Turkey’s corporate sector has taken on huge corporate debt. Businesses, which have a major chunk of their sales in liras, often try to buy US dollars to pay their foreign currency-denominated loans. Trouble in the corporate sector could spill over to the country's banks, analysts fear. Businesses have pressed both sides to move ahead at forging trade ties despite political and diplomatic differences. “Presently, the political difficulties and diplomatic differences between Ankara and Washington weigh down on business relations, hampers our efforts to go forward, further and faster. 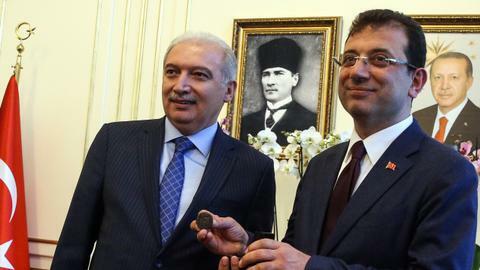 I strongly believe that we have to change this,” said Mehmet Ali Yalcindag, head of the Turkey-US Business Council. While double-digit inflation and high interest rates remain a concern for households and businesses, the government has moved to tackle big issues such as the country’s high dependence on energy imports. Investor interest in businesses also remains strong with mergers and acquisitions. In 2018, $12 billion worth of deals were sealed, a 17 percent rise over the previous year with a major chunk of it coming from foreign investors, according to Deloitte. But analysts say Turkey, which has fuelled its growth on the back of foreign currency loans, must bring in fundamental changes to avoid economic and financial stress in the future.